This year's "German Prize for Monument Protection" of the "German national Committee of Monument Protection" has been awarded to "Stromer’sche Kulturgut-, Denkmal- und Naturstiftung". The prize is the highest decoration in this subject area and is applying to outstanding efforts in maintaining the constructional heritage as well as the exemplary mediation of requests and objectives of monument protection and maintenance. It is the first time since 4 years that the Silver Hemisphere has been awarded to an object in Bavaria. 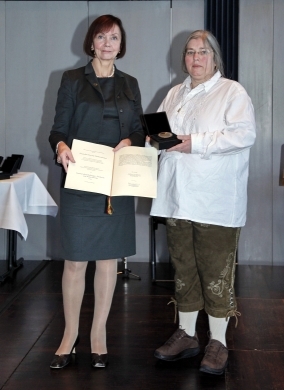 In November 2010, the awarding ceremony took place in Kiel.